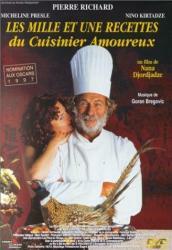 Comedy/Romance, Belgium/West Germany/France/Georgia/Ukraine, 1996, 100 min. Synopsis The story of Pascal Ichak, a larger-than-life French traveller, bon vivant, and chef, who falls in love with Georgia and a Georgian princess in the early 1920s. All is well until the arrival of the Red Army of the Caucasus, as the Soviet revolution that has swept Russian comes to Georgia. Told as a flashback from the present, as a French-Georgian man whose mother was Pascal's lover translates his memoirs for Pascal's niece.